We’re sitting here in the waiting room at Facebook waiting for the supposed location event to start. Facebook won’t say officially what the event is about, but it seems like everyone knows. And now we know for sure. 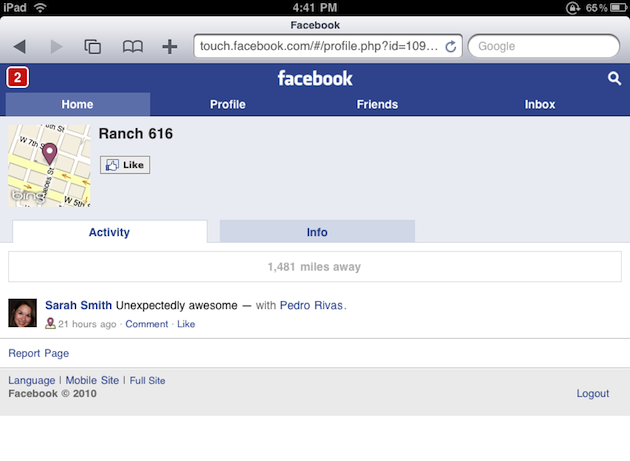 Earlier, we found code evidence of the new Facebook Places area. Now we’ve found the feature itself. Welcome to Facebook Places. 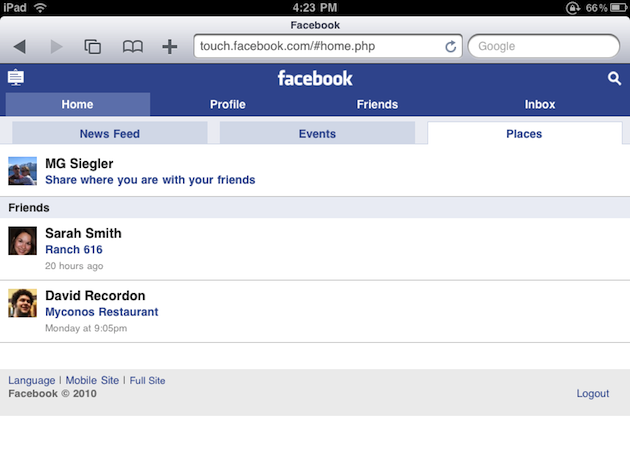 The following screenshots are from the touch version of Facebook’s website. The same place we originally found the location code months ago. As you can see, there’s a new Places tab. When clicked on, it shows friends who have geotagged themselves at various locations (both of the people in the shots below are Facebook employees — no surprise there). 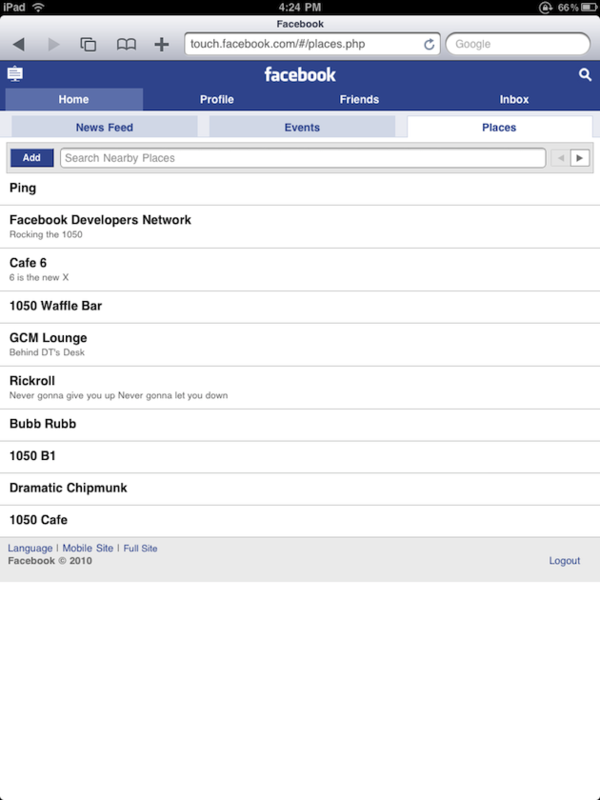 When you tap “Share where you are with friends” from here, it brings up a list of nearby places. Yes, it’s Facebook check-in. Update: And like that — it’s gone. But we’re here live at the event. Expect a lot more to come. Update 2: It came back for a second. 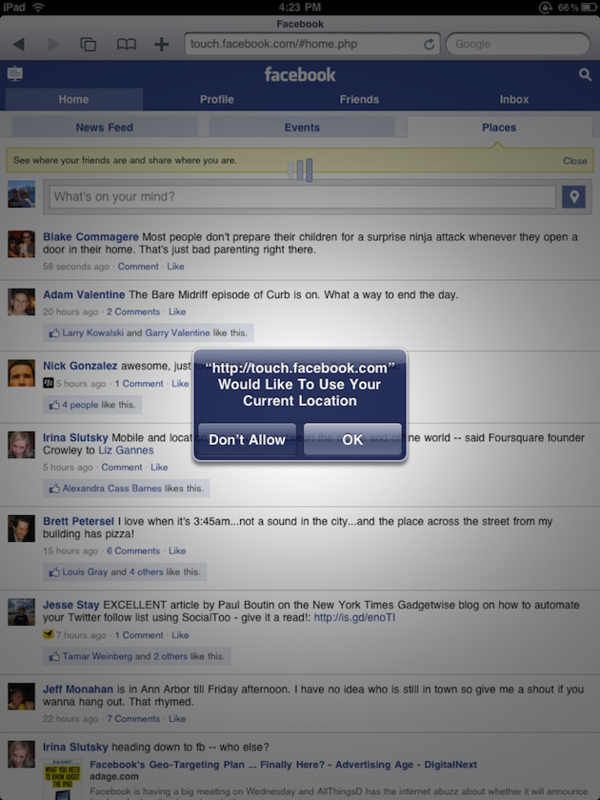 We got a glimpse that you can “like” individual places — no surprise there.